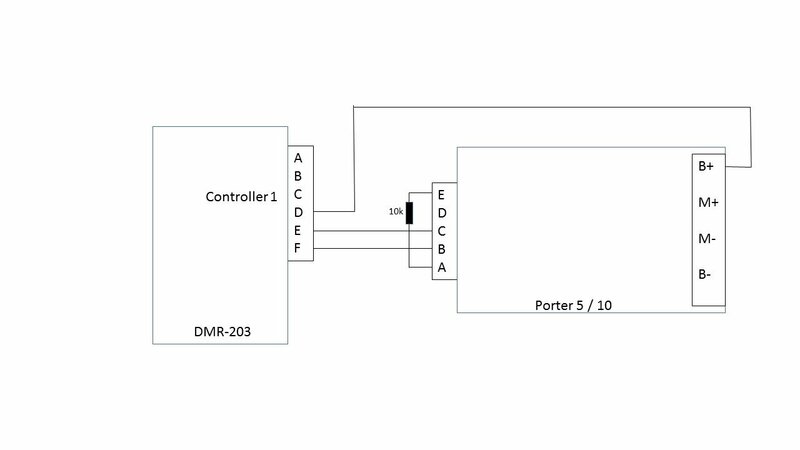 The DMR-203 can be used to give radio control of a Porter 5 / 10 at up to 24v by using the wiring shown below. The rest of the wiring should be as shown in the Porter and DMR manuals. Note; the internal regulator in the DMR-203 has a maximum rating of 35v, use with a B+ voltage above this will cause damage.